Blenheim Palace has received the prestigious Gold Accolade as part of VisitEngland’s Visitor Attraction Quality Scheme. The Oxfordshire UNESCO World Heritage Site was given the top-scoring Gold Accolade as part of VisitEngland’s annual assessment of around 1,000 attractions across the country. The accolades recognise those attractions going the extra mile to create an enjoyable and memorable visitor experience. They are available to attractions that are part of the Visitor Attraction Quality Scheme and are allocated through a scoring system based on an annual assessment by VisitEngland. They include the Welcome accolade, Hidden Gem, Best Told Story, Quality Food & Drink and the Gold accolade for top-scoring attractions. “We are delighted to have been recognised as one of the top attractions by VisitEngland,” said Blenheim Palace’s Operations Director Heather Carter. “The entire team is committed to continually look at innovative new ways to improve the overall visitor experience here at Blenheim Palace. “To be recognised for this hard work is very rewarding and will provide all of us with an added incentive to put the visitor at the heart of everything we do here,” she added. The Visitor Attraction Quality Scheme is managed by VisitEngland and, through its network of regional assessors, has a reputation for instigating, modifying and shaping change to the customer experience at visitor attractions across England. Built in the early 18th century to celebrate Britain’s victory over the French in the War of the Spanish Succession, the Palace is the ancestral home of the Dukes of Marlborough and the birthplace of Sir Winston Churchill. It was officially designated a UNESCO World Heritage Site in 1987. • Blenheim Palace is a member of the Green Tourism Business Scheme. Donate your Palace, Park and Gardens admission on arrival to claim a free Annual Pass*. Enjoy entry to our World Heritage Site throughout the year for the price of one day, plus exclusive member benefits. • Free entry to events run by Blenheim Palace including Jousting Tournaments, the Blenheim Palace Food Festival, Blenheim Palace Flower Show and the Blenheim Palace Festival of Transport. • Discount for family and friends on their first visit when you accompany them. • A monthly e-newsletter with news of our latest events, offers, and competitions. 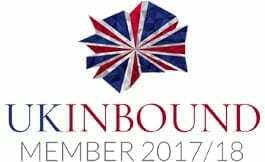 • Tickets to a selection of externally run events including the Battle Proms Picnic Concert, BBC Countryfile Live and ‘Christmas at Blenheim’. Founded in 2016 under the auspices of the 12th Duke of Marlborough, the Blenheim Palace Heritage Foundation Charity looks to safeguard the future of our World Heritage Site for centuries to come. By agreeing to donate a Palace, Park and Gardens admission on arrival visitors can benefit from converting to a free Annual Pass*. *You are eligible for Gift Aid if you are a UK taxpayer. The process costs you nothing but allows us to claim money back from the government on the tax that you have already paid. This means that for every £1 donated, we receive an extra £0.25, allowing us to invest even more in the upkeep of the Palace, its contents and surrounding Estate.